Green Club originally started as a small group of friends that were seeking a way to watch “Bee Movie” - a movie about talking bees reclaiming their honey - after school. This idea ended up expanding, and they wanted to create a club that would discuss issues and events relating to bees. With the support of special education teacher Mr. Synhorst, that dream developed into the current Green Club, filled with people passionate not only about the environment, but also green-based fun. Recently the club hosted a Walk-Bike-Bus or Carpool-to-School Week. ACP teachers were to have their students sign their names on an attendance sheet if they did any of the four options. At the end of the week, there would be a movie and snacks. Technically the movie would be $3, but if you walked, biked, bused, or carpooled to school for at least three of the four days then a dollar would be subtracted from the total movie amount. When the week was over, about fifteen people - both outside and inside Green Club - attended. Avery and Lillian hope that more students and teachers will get involved with the next Green Club event. Speaking of future events, Green Club has a bold plan for this year. They hope to create a school garden placed at the front of the building, filled with flowers and/or produce. “We’re still in the planning part of it, but we’re really excited,” Avery said. The club has other goals too. They want to create a recycling initiative, where used paper from the school actually gets recycled into the proper receptacles. They want to create posters centered around the environment that include simple and cool eco friendly tips and ideas. They also want to increase their membership. “Green Club is kind of our baby. We want to make sure that it continues even when we’re gone,” Lillian said. 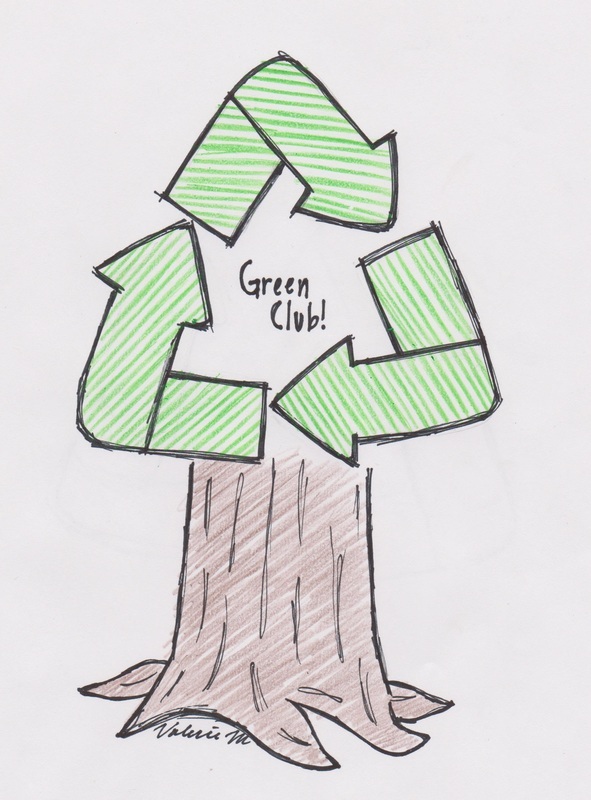 ​Green Club meetings are every other Wednesday in room 301. Contact either Mr. Synhorst, Lillian Pachner, or Avery Talbott for more details.